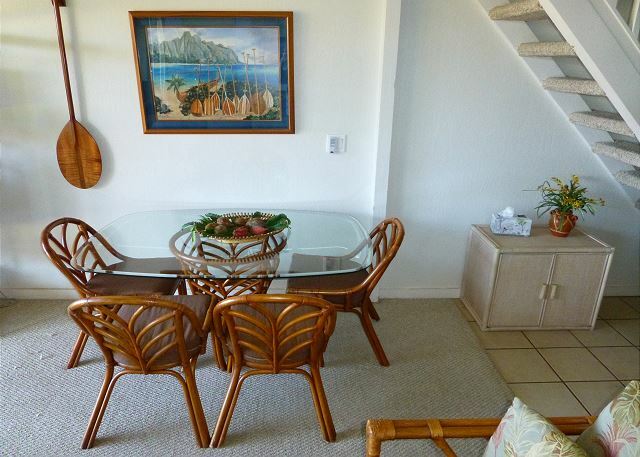 The essence of Hawaiiana is embodied in the décor, architecture, beautiful view and gardens of Mahina Surf 206. 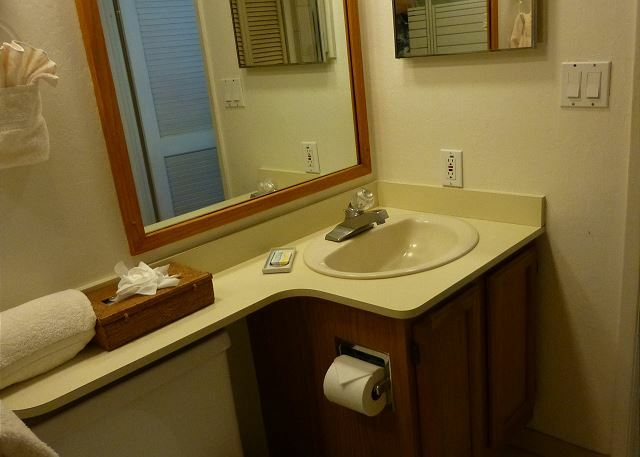 Free parking and free high speed Wi-Fi are provided to unit 206’s guests. 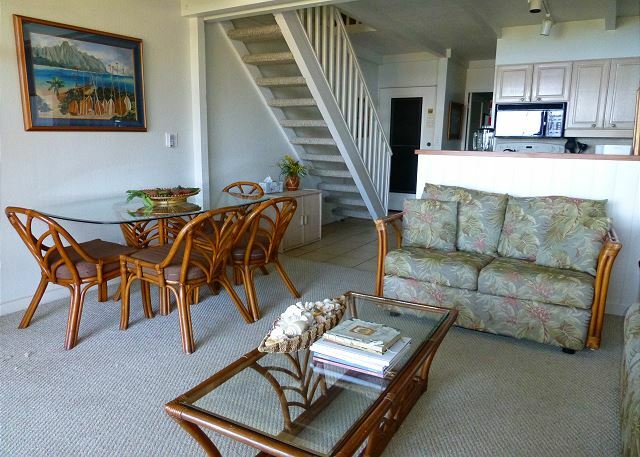 We are one of only 56 units on two levels in this tranquil setting. The recent addition of a Photovoltaic Solar system, hidden from view, furnishes over 100% of the electricity used in our condo’s common areas. 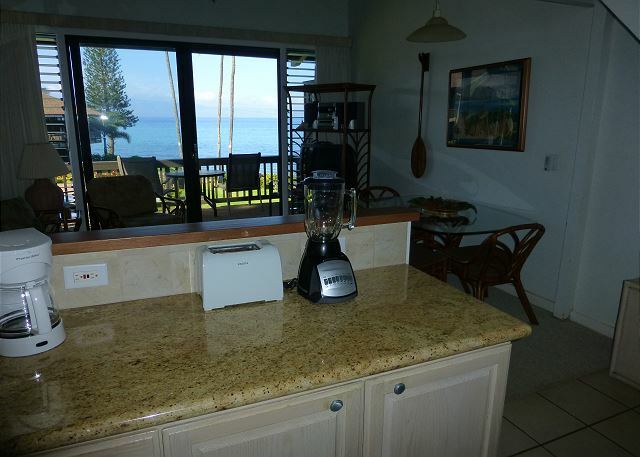 Located right on the oceanfront, with westward views of Molokai and Lana’i, unit 206 is the perfect spot to enjoy the pool while whale watching (typically December-March), observe the resident sea turtles or watch surfers ride the waves at adjacent S-turns surf spot. 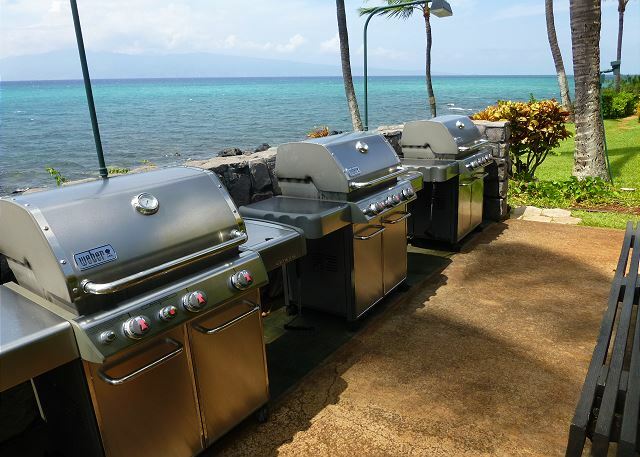 Barbequing on one of the oceanfront grills at sunset is a treat you will cherish! 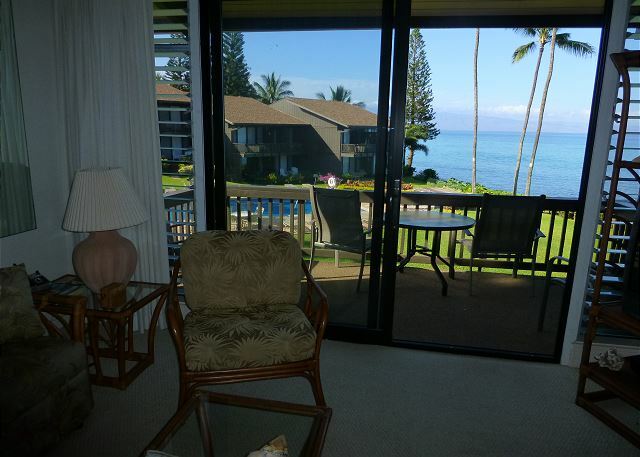 Our condo is just 5 minutes south of Kapalua’s golf courses, zipline, beaches and dining, and 5 minutes north of Ka’anapali resort’s golfing, shopping, restaurants and beach. 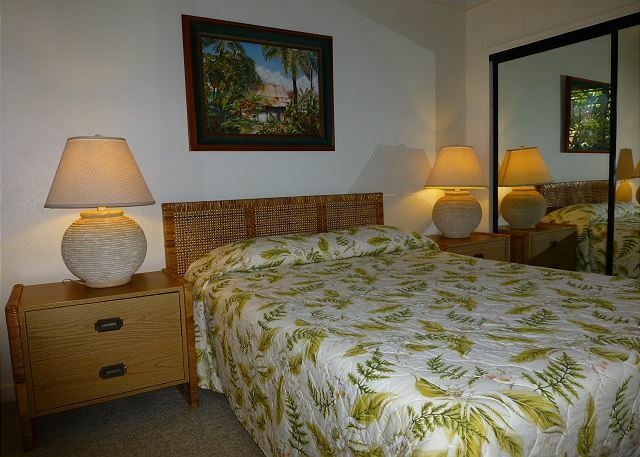 We are just 10 minutes north of Lahaina town, with its harbor, restaurants, shave-ice and ono gelato, and nightlife, including Friday night “art walk”. 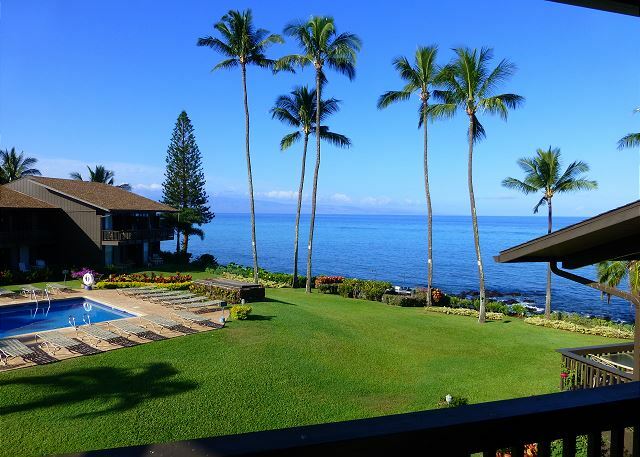 The location is near the best of what west Maui has to offer! 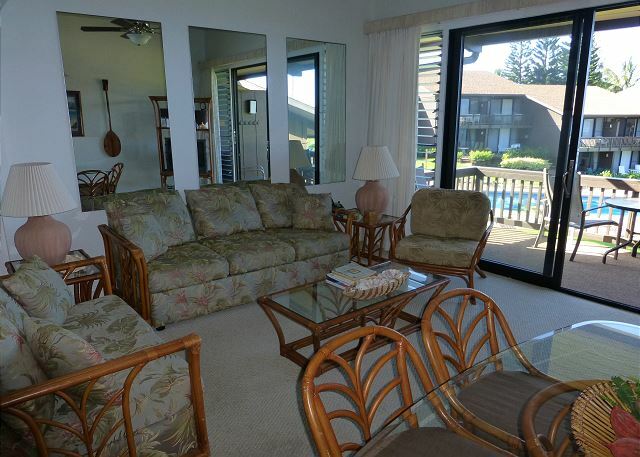 Mahina Surf 206 is located on the second level, overlooking the pool and with views of the ocean and island of Lana’i from our deck – a great place for a morning cup of coffee or to watch the beautiful sunsets, from its table or comfortable chairs. Inside the new sliding glass door and windows, the living area features great views, plus a queen sleeper sofa, loveseat, a coffee/game table as well as a TV, stereo and free high speed Wi-Fi; and a dining table and chairs. 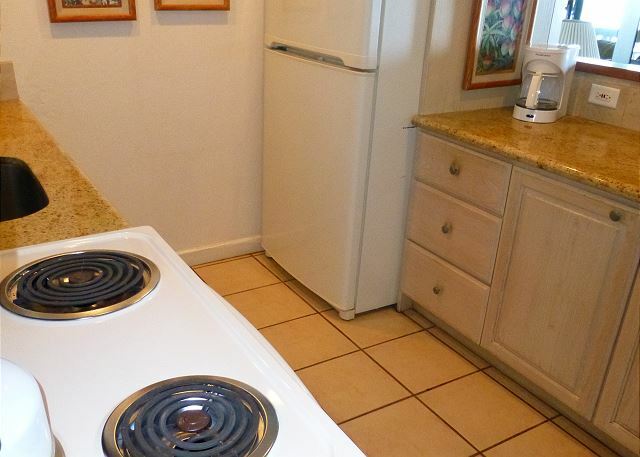 The fully equipped kitchen has new granite countertops, and newer appliances - fridge, range, oven and microwave and a quiet dishwasher. 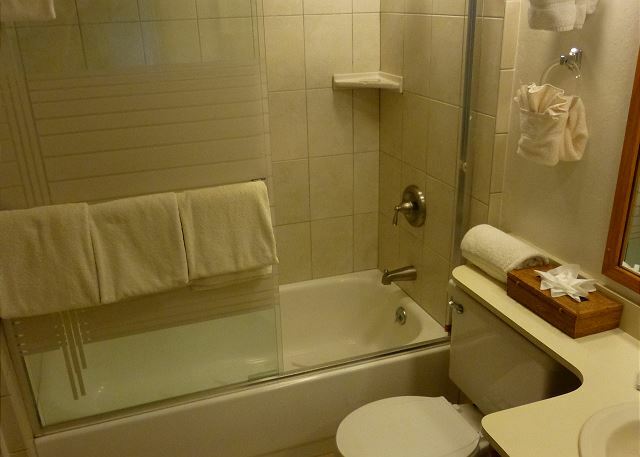 A full bathroom with tub and tiled shower separates the kitchen from the master bedroom, which has a queen size bed with bedside tables and lamps, a chest of drawers and a large closet with programmable safe. 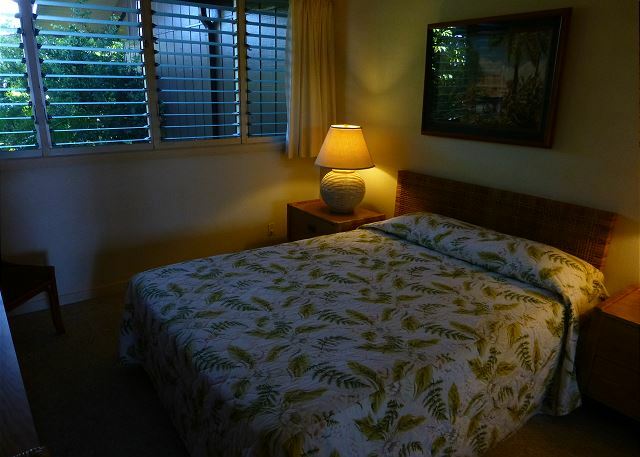 Brand new jalousie (louvered) windows allow you to enjoy the breeze and to be lulled to sleep by the sound of surf. 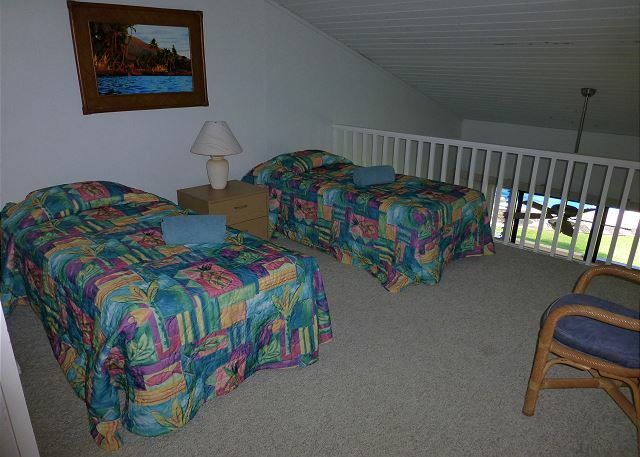 Upstairs, the second bedroom loft has two twin beds (or together to make 1 king bed) with bedside table and lamp, a full chest of drawers, and a second full bathroom with a tub and tiled shower, plus lots of additional closet space. Throughout the unit, we’ve chosen furnishings and artwork that we enjoy, and make us feel at home here. 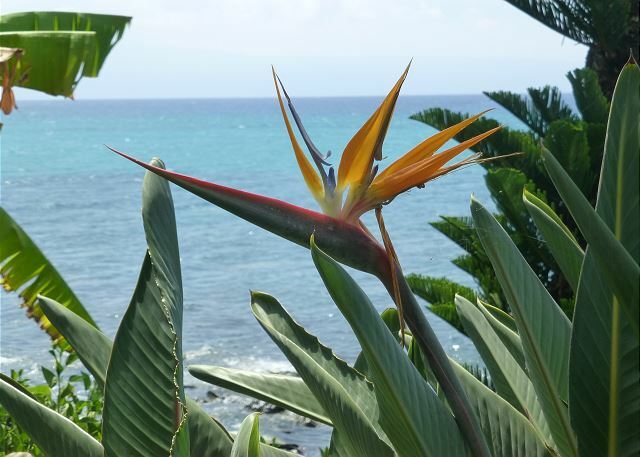 We’ve included books about the wildlife and the area, as well as Hawaii Regional Cuisine cookbooks, and some fun family games. 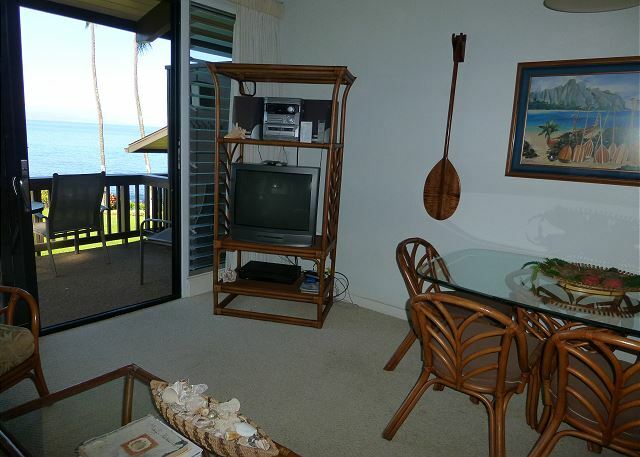 You should also find folding beach chairs, and soft coolers, to help you enjoy your days at the beach. 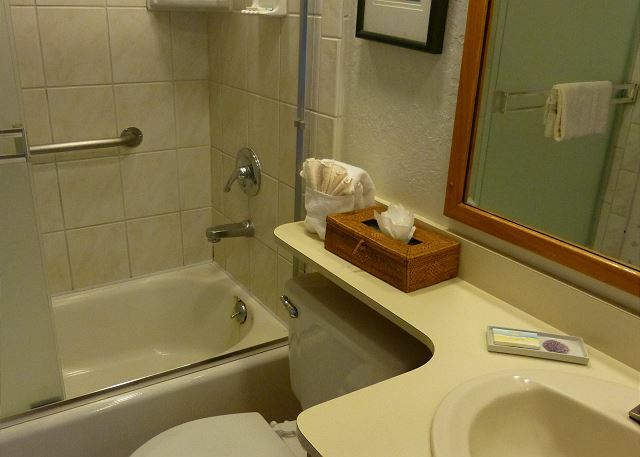 If unit 206 is occupied during your choice of times, please visit unit 205 http://www.vrbo.com/498374 as a possible option. 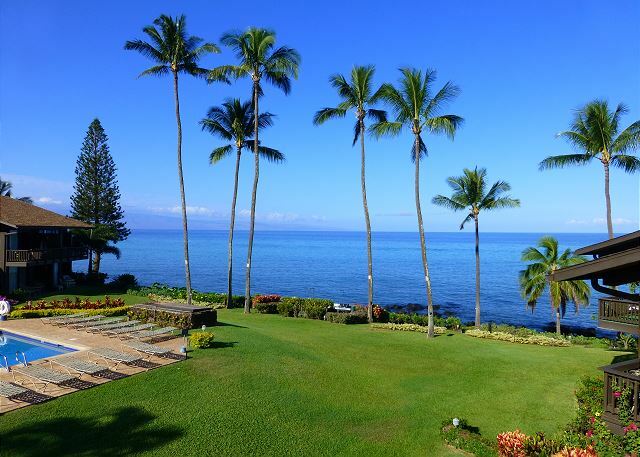 What a delightful stay to start our Maui adventure! 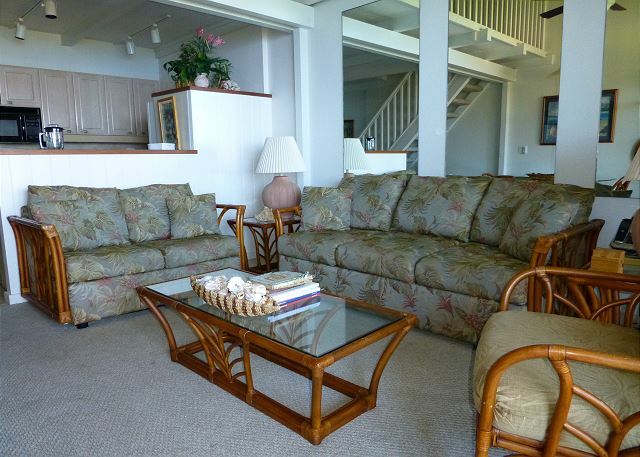 We stayed for four days and were so very pleased with the condo, the grounds (hey, there was a small private beach nearby where a dozen sea turtles congregated at night), and the staff. And we didn't find the lack of air-conditioning mattered at all! Lovely, sunsets and turtles were the icing on the cake. Splendid location and Staff. 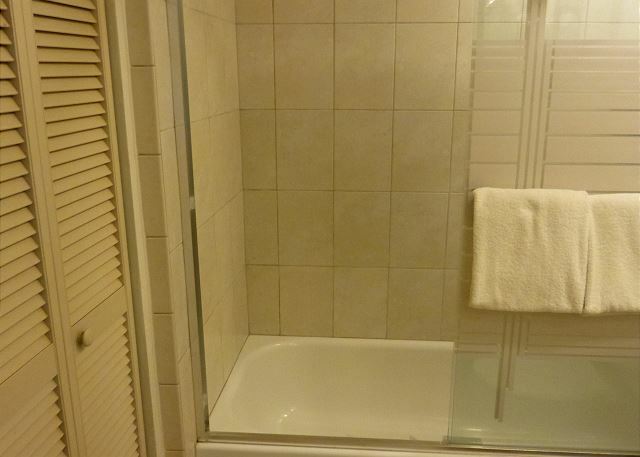 Unit very well equipped for your homey stay. Felt as if I lived in Maui and that was my home. 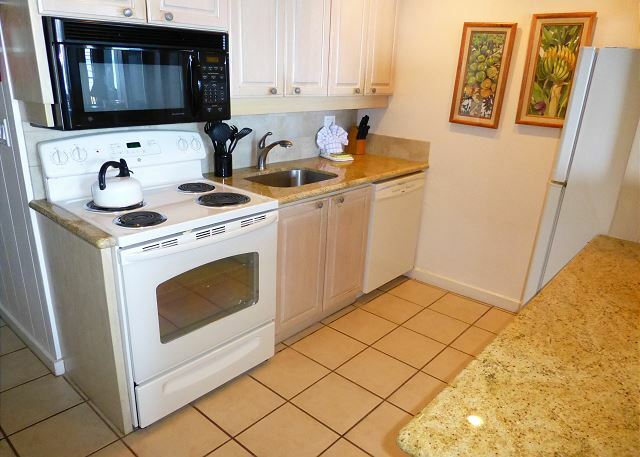 The location is fantastic, people are great, unit needs some care and updating. 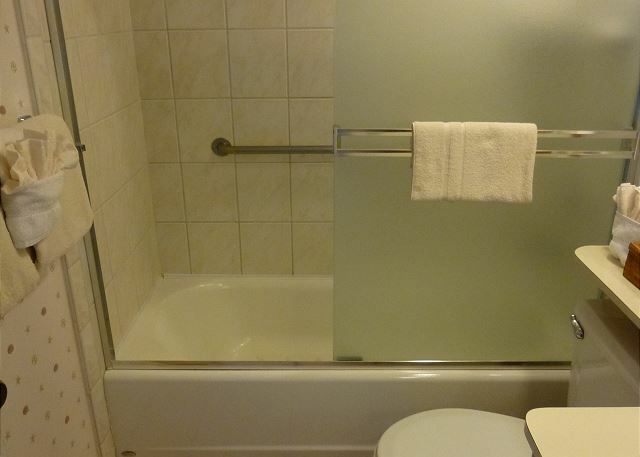 Furniture torn needs to be updated, ceiling needs repair and painting, master bedroom mattress needs replaced. 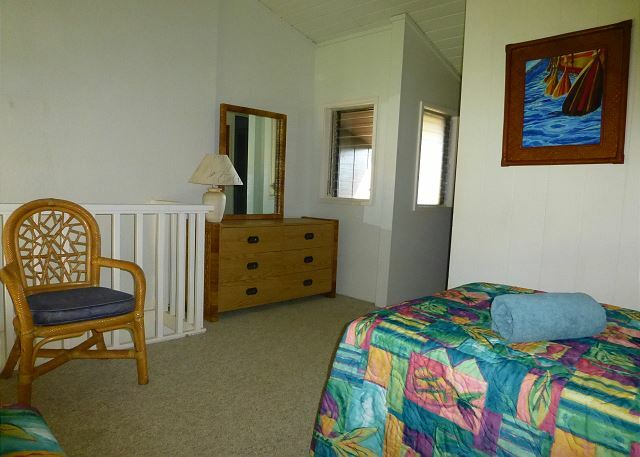 Lanai carpet torn, boards exposed, screens have holes, mattresses on upstairs beds slide off bed. Lights in main bathroom very dull. Most are quick and easy fixes. 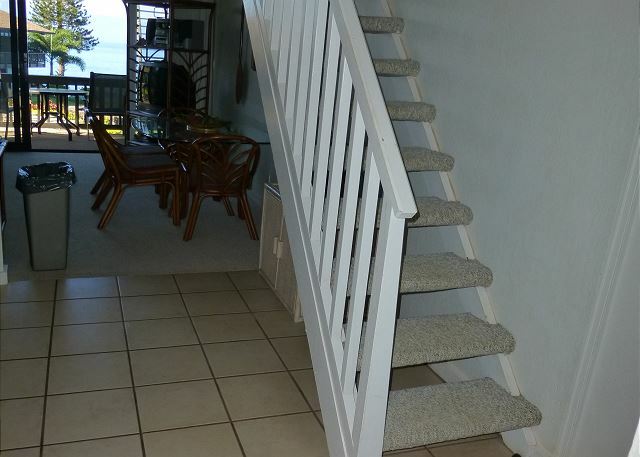 We (family of 4) had a very nice and relaxing stay at Mahina Surf. Sharon was very nice and answered all my questions regarding Maui. She also recommended restaurants and site seeing options. Loved the place.. private and quiet and convenient to the water. 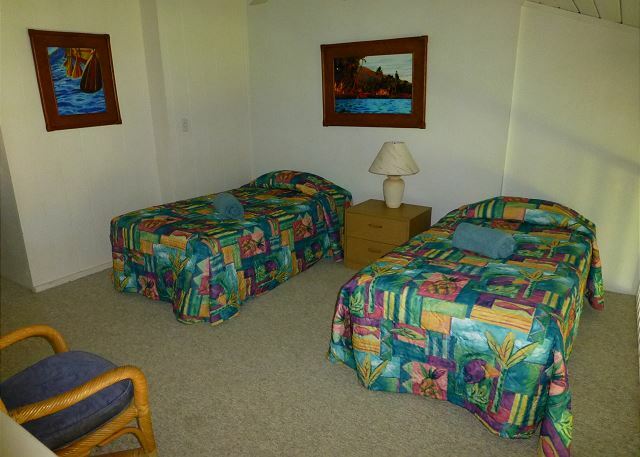 It is a small imprint on the environment and that equates to a relaxing time. The large turtles were magical. The front desk were very helpful. We have chosen to stay in this unit several times. Love the location, the view, the people and especially coming back.